Stage 1: The foot deck is flat and the user pushes like a regular kick scooter. 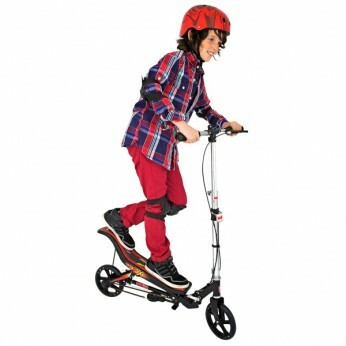 This is ideal for the younger user, helping him or her to get used to scooter before moving on to stage 2. This toy costs approximately £119.99 (for the latest and best prices make sure you check our retailer list for the Space Scooter Black above). In our review of Space Scooter Black we classed it as being suitable for ages 8 years, 9 years, over 10 years but recommend you check the manufacturer specific advice before purchasing.